The compact way to get to know our E/E engineering solution PREEvision and its comprehensive functions: for both classic and service-oriented architecture development, requirements management, communication design, safety-related system design, AUTOSAR system and software design as well as wiring harness development. The compact way to get to know our E/E engineering solution PREEvision and its comprehensive functions. 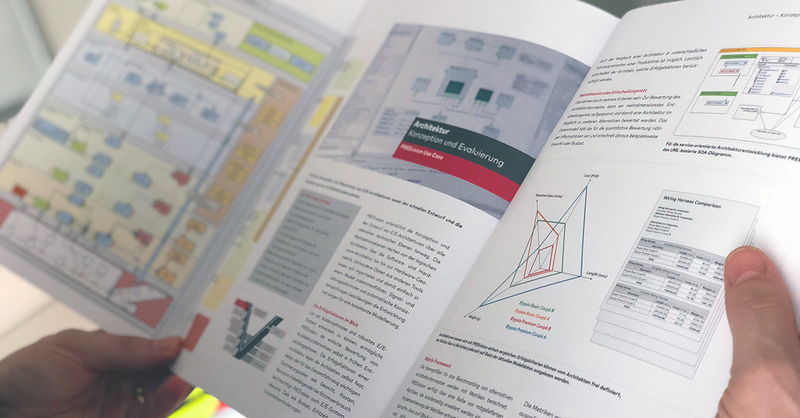 In the new, extended edition, the description of Ethernet networks and clusters as well as the development of service-oriented software architectures (SOA) were added as topic. Also introduced: the integrated process support consisting of project, change and release management. It is used to steer complex E/E projects and to carry out changes during a project in a controlled and comprehensible manner. The PREEvision brochure is available right away as download or printed edition!